There are so many great ideas out there, it's hard to pick and choose sometimes. 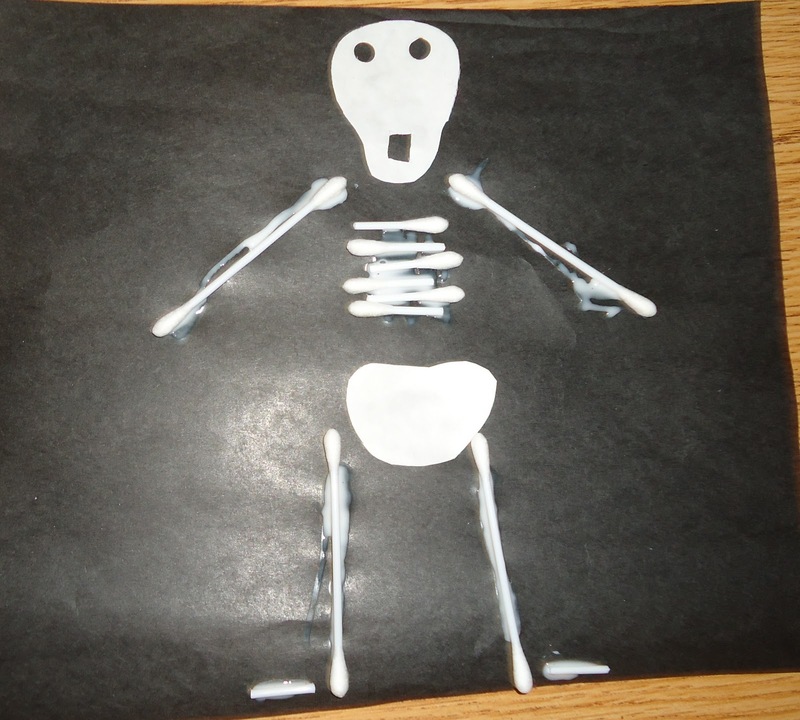 Little Wonders Preschool posted a picture on Facebook of the skeletons they made recently. It reminded me that I did this several years ago with my class and they really enjoyed it. I thought I'd make one today and put in my files so next year I would remember to put in into my lesson plans. While I was finishing mine up, some of the friends came over and asked me if they could make one, too. I gave them a little skull and a pelvis like I had used from white paper and a handful of q-tips. I wasn't sure exactly what they would come up with, but I was curious to see what they would do with all the "loose parts"
We've also been singing along to to this fun song!